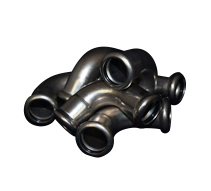 Stainless steel forged fittings - Marla Tube Fittings - Pipeline, Tube Fittings & Flange Stockholders. Our new 316L Stainless Steel Pressfit range of fittings are produced to the highest EN standards and are all fully WRAS approved. Using innovative technology, we manufacture M-profile high-precision thin-walled stainless steel pressfittings to supply the UK commercial and industrial markets. We also stock a complete range of O-rings ensuring the products versatility and suitability for a wide range of applications. Combination of high quality products, in full compliance with European material and mechanical standards, and affordability sets 316L Stainless Steel Pressfit apart from most of its global competitors.